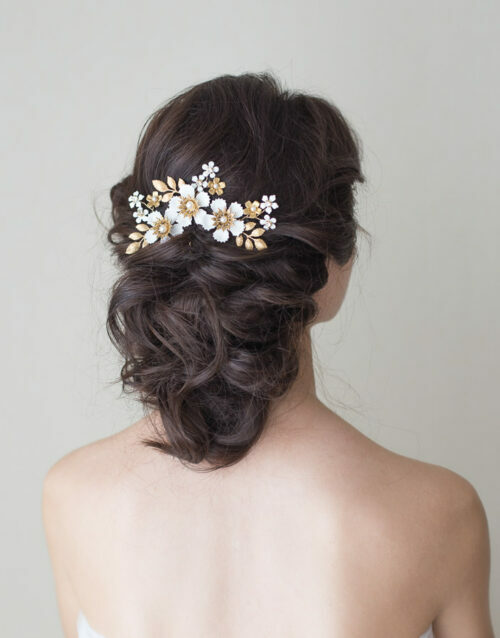 View cart “Blossom hair pins / Style 812” has been added to your cart. 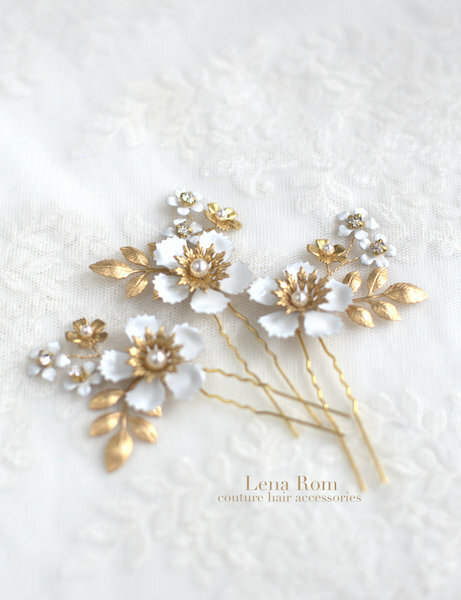 Set of 2 hair pins. This pins has been made of fresh water pearls and golden beads. Color: Gold. Also the color can be made upon request. This item is made to order and it will be shipped 2 – 3 weeks after purchase. Otherwise, those headpieces labelled as “ready to ship” are regularly shipped between 5 – 7 days after the payment has completed. In the case you may need your item before the indicated delivery time, or if you are seeking a possible personalisation, kindly consider to contact us, before may formalise your order.